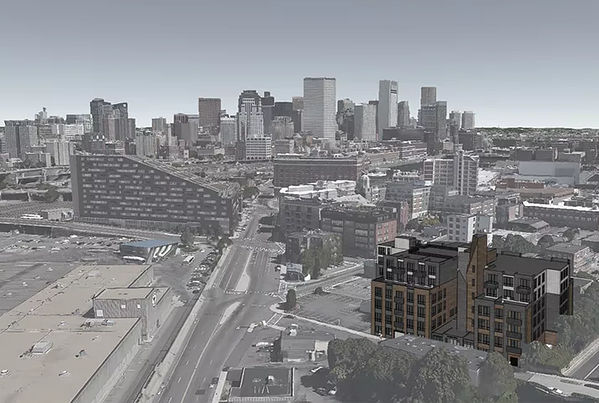 The currently underutilized lot is situated by the South Boston bypass and bustling Dorchester and West Broadway streets, making it a prime destination for residences. The Ceinture project will include a mix of luxury one-bedrooms, one-bedrooms plus dens, and two-bedrooms; all ranging from 700 to 1,300 square-feet. Several residences will include spacious private terraces with outstanding South Boston city views. Gracious amenities at The Ceinture include a concierge, clubroom, fitness center, and common roof deck with gas grill hookups. 41 parking spaces will be made available in a ground-level garage. Developers Trintity Green Development have expressed their enthusiasm in creating residences that take full advantage of the South Boston locale. Not only will the project be a great opportunity for eager residents to enjoy the Southie lifestyle, but the building itself will be aesthetically functional with the surrounding neighborhood architecture; implementing bricks, composite metal panels and glass fenestration. 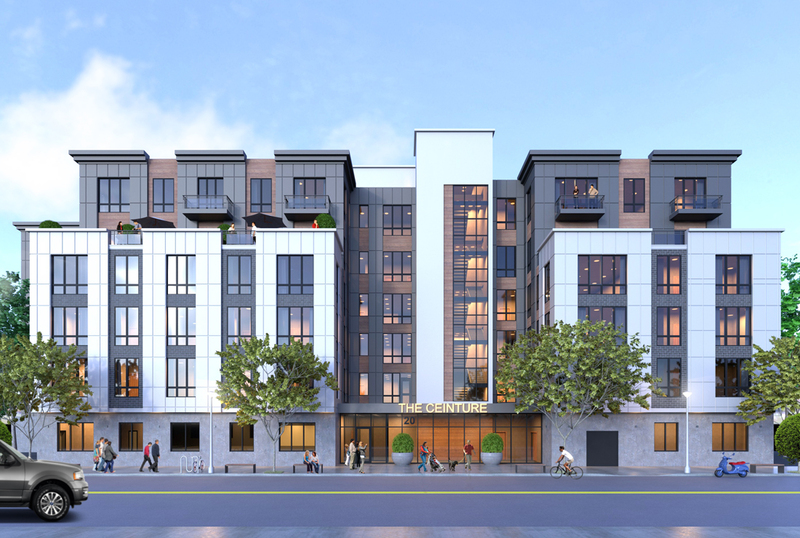 The Ceinture will deliver a modern and pleasing building in a premier South Boston location. Construction at The Ceinture is expected to be completed by Spring of 2020, with sales commencing in Spring 2019. Stay up to date with construction and upcoming sales news by signing up for a property alert at BostonRealEstate.com.